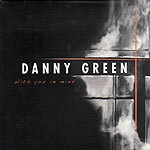 CD review: "With You in Mind"
With a complex musical vision grounded in gorgeous melody, San Diego pianist Danny Green's new CD shows an artist drawing on modernist threads from Art Tatum to Dave Brubeck to Keith Jarrett while never getting too far out there. He also paints everything with a slight pan-Caribbean groove  think a younger Monty Alexander. The 11 tracks here are all straight-ahead jazz, and display a nicely developed ability to change up tempo. On the faster pieces, Green's left hand propels everything along with a charismatic urgency. Slow it down, and he shows a wonderful touch at lingering over a note, over a space, a pause. Green takes most of the leads on various keyboards  acoustic piano, Fender Rhodes, melodica. Acoustic piano seems the best fit for his playing, providing him a richness of palette with which to create his solos. Equal parts percussive attack and thematic improvisation, Green's solos rework the main melody of a song without abandoning the thread. And he more than holds his own on the tracks where he's joined by North County jazz fixture Tripp Sprague on soprano sax. The rhythm section of bassist Justin Grinnell, drummer Dylan Savage and percussionist Allan Phillips is so solid they could never be said to be extraneous, but so strong is Green's own rhythmic foundation on piano that surely a solo album lies in his future. All but one of the songs were written by Green (the lone cover being of Danilo Perez's "Suite for the Americas"), and all display a timeless elegance and grace. Most would have fit comfortably on classic albums by any of the artists listed above. He doesn't seem to play out much, at least not as leader, but judging by the evidence of this disc Danny Green is a remarkable young talent who is already among the very best jazz musicians in San Diego.